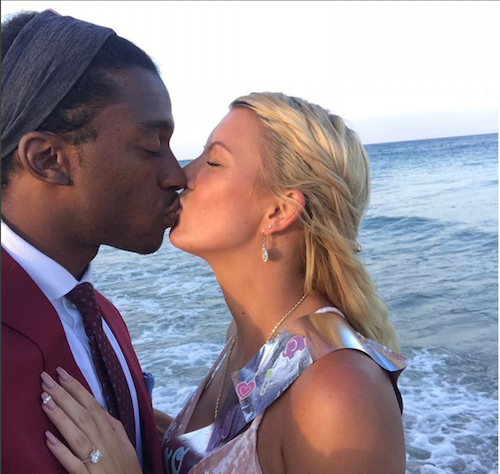 His NFL career may be sunken as all hell, but RGIII is out here living life with his girlfriend, now fiance. 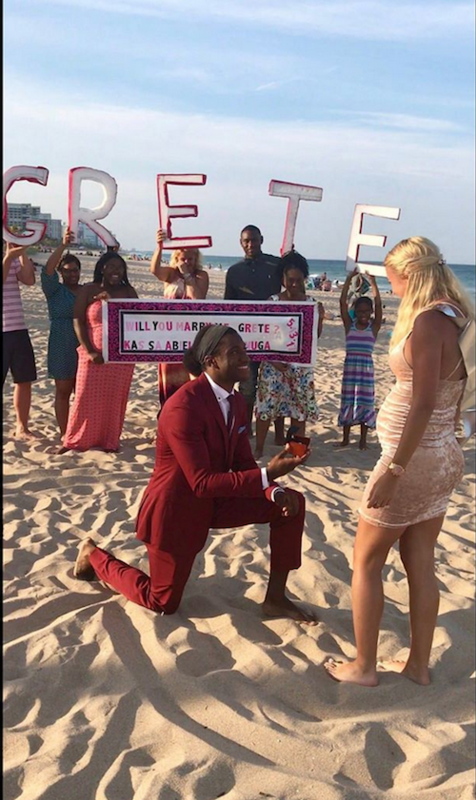 As you know, the former Redskins and Browns QB started dating then-college athlete Grete Šadeiko last year. He basically informed the public he had left his wife (who had JUST had his baby) and had a new chick by showing off a new tattoo of Grete's name. It was shady at best. Reports, via TMZ, state Robert JUST finalized his divorce from first wife Becky Liddicoat. How convenient. Now, Grete's pregnant, and she's already 8 months along. 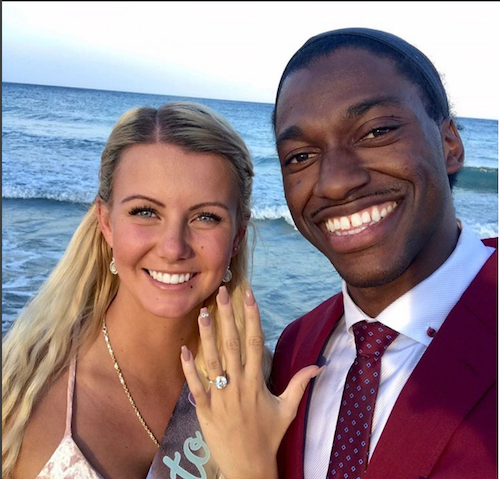 RGIII took advantage of this Mother's Day weekend and also surprised her with a rpopsal yesterday on the beach. Guess who's pregnant AND now engaged?! Swipe to reveal the answer now! Get it how you live then. NOTE: A previous version of this post reported Robert had not yet finalized his dovorce, but the report changed with updated info. PREVIOUS: CONGRATS! Kevin Hart & Eniko Are Expecting A Baby Boy!